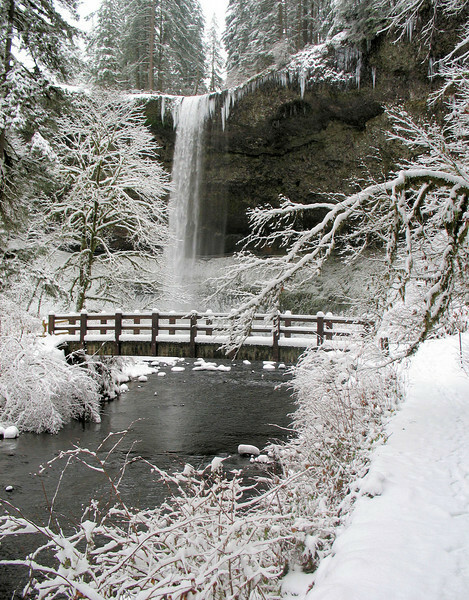 This is the South Falls. It was taken with my wife's little Canon Power Shot. This winter scene inspired me to buy a better camera, and fueled my passion for landscape photography. Wonderful shot and a perfect caption! wow.....terrific...would make a beautiful card!